Our Palm Oil program supports the production of traceable and sustainable palm oil at scale. We do this through partnerships with local and international companies and governments in Indonesia and Malaysia, and by working on the demand side in Europe. Convening public-private partnerships at European and national levels, through the European Sustainable Palm Oil (ESPO) with MVO and EPOA, to enable shared commitment on targets on sustainable sourcing, to strengthen policy frameworks and create an enabling environment which supports the mainstream uptake of sustainably produced palm oil. Publishing periodic/yearly market data reports on the uptake of sustainably produced palm oil to monitor the delivery on targets by governments (with a focus on Amsterdam Declarations Partnership signatories), companies and sec­tors for Europe and individual countries. Developing strong supply chain connections between the stakeholders on the market end and producing countries via the creation of Verified Sourcing Areas (VSA), where sustainable palm oil is produced at increasing levels. 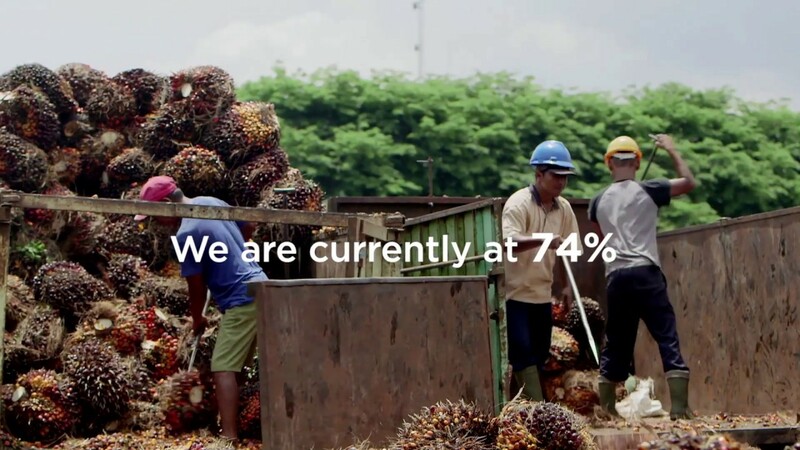 Together, we aim to transform the market and achieve 100% sustainable palm oil sourcing in Europe by 2020. This June, the first Sustainable Palm Oil Dialogue will take place. Together with the European Palm Oil Alliance and the Roundtable on Sustainable Palm Oil we will debate how to reach complete market transformation to sustainable palm oil. The market in Europe, as the second largest global importer of palm oil has an important role to play by ensuring 100 per cent of the palm oil in the products manufactured, and used is certified sustainable. To this end, IDH and MVO established the European Sustainable Palm Oil project (ESPO) in 2015. Unifying supply chain actors across Belgium, Denmark, France, Germany, Italy, the Netherlands, Norway, Spain, Sweden and the United Kingdom and working with governments and trade bodies to develop specific action plans to achieve 100 per cent certified sustainable palm oil in Europe by 2020. Three years in, and two years from our goal, how are we faring? Click here to find out. With the support of the national initiatives and through ESPO, we instigated in December 2015 a ‘Commitment to Support 100% Sustainable Palm Oil in Europe by 2020’. Eleven organizations signed and supported this commitment. In response, the governments of five key European Union countries declared their support towards the project by signing the Amsterdam Palm Oil Declaration during the EU and Global Value Chains’ high-level conference on 7th December 2015. This was the first time that Europe spoke with one voice with regards to sustainable palm oil. In June 2016, Norway declared governmental support to the Commitment to Support 100% Sustainable Palm Oil in Europe. In addition to increase the uptake of responsible palm oil, IDH supports the palm oil national initiatives through the ESPO project. In the latest market monitoring report, it is shown that 74% of palm oil imported for food into Europe was RSPO certified sustainable palm oil, a 5%-point increase from the previous year. However, it has become clear that the remaining 26% will be the most difficult. The feed and oleochemical sectors are lagging behind and also countries like Italy and Poland need to step up. Significant additional efforts are needed to reach the 100% sustainable palm oil by 2020. Therefore, IDH is deepening our strategic engagement with countries, national initiatives and sectors other than food. An example of a National Initiative is the Dutch Alliance for Sustainable Palm Oil, of which IDH has been a founding partner. In May 2016, they announced the results of the sustainable use of palm oil in the Dutch food & feed industry. The members, eight food and feed industry associations, all achieved the ambition they set in 2011: ‘100% sustainable palm oil for the Dutch market by the end of 2015’. Since, the Dutch Alliance also reports on the traceability to oil mill level and the share of palm oil that is covered by company commitments on ‘No deforestation, No development on peatland and No Exploitation policies. On the production-side, sustainability objectives include increasing smallholder income, transparent land titles, and forest and peat protection. Part of the palm oil program is embedded in the landscape programs, which contributes to sustainable production on the origin side of the supply chain. To improve the connection between market players and producing parties, the Verified Sourcing Area (VSA) is a new area-based sustainable sourcing model. Palm oil-focused Verified Sourcing Areas and compacts in Aceh Tamiang and Aceh Timur are currently in progress. In South Sumatra, IDH worked with partners, including local government, CSOs and PT PP London Sumatra Indonesia Tbk, subsidiary of Indofood Agri, to train and assist 1,510 smallholders to obtain RSPO group certification, covering 5,383 hectares. The farmers can now sell their fresh fruit bunches to the mill for a better price, as well as receive the RSPO premium. Farmers were trained on Good Agricultural Practices, HSC/HCV management, health and safety, as well as mapping and data baseline. IDH is working together with Solidaridad and the Dutch Government to respond to latest developments in the palm oil sustainability domain and to expand our program in order to be able to fully reach mainstream markets. Focus is to contribute to (climate) policy objectives and market access through testing and scaling sustainable and climate-smart oil palm cultivation by smallholders in four countries: Indonesia and Malaysia, as the two major global producers and exporters, and Ghana and Nigeria, as two major oil palm producing and consuming countries in Africa, and we will link to markets in Europe, China and India. Through this approach, we aim to strengthen our existing programs on sustainable palm oil and landscapes. Making a difference, a case study on the uptake of sustainable palm oil in Spain. Spain is the second largest palm oil importer in Europe and plays an important role in further distributing palm oil into the European market. However, in the country, the palm oil debates in the public related to deforestation and health impacts are especially fierce. There exists wrongful information and advertising, which poses considerable challenges to promote sustainable palm oil. Due to the negative public image of palm oil, Spanish retailers such as Alcampo and Eroski announced their intention to ban the use of palm oil as an ingredient in their products. Companies like Ferrero and Nestlé have to invest significantly to lobby and defend the use of sustainable palm oil. With the support from our European Sustainable Palm Oil project (ESPO), the Spanish Foundation for Sustainable Palm Oil was established in 2017 to help the industry balancing one-sided palm oil debate on health and sustainability issues. By actively engaging with companies and other supply chain stakeholders in food and feed industries, the membership of the Foundation is growing. The foundation aims to achieve 100% sustainable palm oil by 2020. It conducted research to debunk palm oil myths and carried out many outreach activities through social media, conferences and engagement with targeted audiences. In 2016, the market uptake of sustainable palm oil was around 26%. With the work done by the foundation, the sales of sustainable palm oil in Spain in 2018 increased substantially, reaching 44% in 2018. The proactive role that the Foundation takes can potentially be replicated in other countries with similar situations, such as Italy and -Portugal, so to increase overall European sustainable palm oil market uptake.